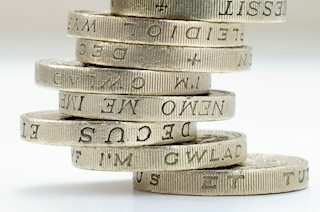 The GBP/USD pair once again found fresh bids ahead of the mid-point of 1.21 handle, sending the rate back towards 1.2200 levels, although the recovery ran into resistance near 1.2185 region post-European open. The cable is defending mild gains in the European session, as strengthening global yields across the curve continue to diminish the demand for sterling as an alternative higher-yielding option. The US treasury yields are seen strengthening on the back of a Dec Fed rate hike deal almost confirmed, which pushes the short-term inflation expectations higher. Meanwhile, GBP/USD is seen last exchanging hands at 1.2176, recording a +0.11 % gain on the day. Calendar-wise, amid a lack of economic data from the UK docket, the US Q3 advance GDP report is likely to hog the limelight in the day ahead. The pair finds immediate resistances placed at 1.2204 (5-DMA), 1.2250 (key resistance) and 1.2300 (Oct 20 high). While supports are lined up at 1.2153 (daily low) and 1.2134 (Oct 17 low) and below that at 1.2100 (round figure).